March 25, 2019 – As a part of the special concert series, MUSICAL MONDAYS, Second Stage Theater (Carole Rothman, President and Artistic Director; Casey Reitz, Executive Director) has announced ADAM CHANLER-BERAT, LAWRENCE CLAYTON, JENNIFER DAMIANO, LOUIS HOBSON, TAMIKA LAWRENCE, ISAAC POWELL, ALICE RIPLEY, AMY SPANGER, J. ROBERT SPENCER, PEARL SUNand AARON TVEIT will perform NEXT TO NORMAL: A CONCERT CELEBRATION. Directed by ANTHONY RAPP and musical direction by RICK BERTONE, the evening will showcase brand new concert-style renditions of songs from the Pulitzer Prize-winning musical, including songs that were only performed in the Second Stage production and others that were written for earlier versions of the musical. The concert, available to Second Stage subscribers only, will take place tonight, March 25, at 7pm at the Tony Kiser Theater (305 W 43rd Street). Written by Tom Kitt and Brian Yorkey, the World Premiere of NEXT TO NORMAL was presented by Second Stage Theater on February 13, 2008, and was subsequently presented at Arena Stage, Washington D.C., in November 2008. NEXT TO NORMAL opened on Broadway April 15, 2009, produced by David Stone, James L. Nederlander, Barbara Whitman, Patrick Catullo, and Second Stage Theater. 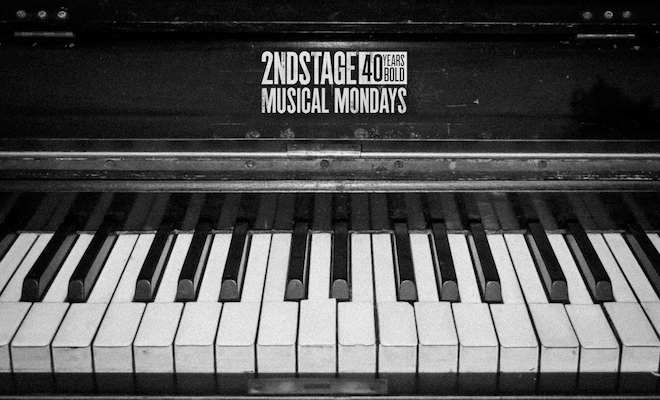 NEXT TO NORMAL: A CONCERT CELEBRATION concludes MUSICAL MONDAYS, the series of one-night only concerts of musicals produced by Second Stage Theater in celebration of its 40th anniversary. The series kicked off on March 4th with Jason Robert Brown’s THE LAST FIVE YEARS and was followed by SATURDAY NIGHT by Julius J. Epstein, Philip G. Epstein, and Stephen Sondheim, and DOGFIGHT by Peter Duchan, Benj Pasek, and Justin Paul. Second Stage Theater’s 40th Anniversary Season kicked off last summer with the Broadway premiere of Young Jean Lee’s STRAIGHT WHITE MEN, directed by Anna D. Shapiro. The season continued with the World Premiere of DAYS OF RAGE, a new play by Tony Award winner Steven Levenson (Dear Evan Hansen) and directed by Trip Cullman who staged the company’s recent Tony-nominated hit production of Kenneth Lonergan’s Lobby Hero. The world premiere musical SUPERHERO, is currently running at the Tony Kiser Theater after officially opening on February 28, 2019. Directed by Jason Moore, SUPERHERO features a book by John Logan and music and lyrics by Tom Kitt. The season will also feature Christopher Shinn’s Pulitzer Prize finalist, DYING CITY, in a new production from acclaimed director Lila Neugebauer (The Wolves), who returns to Second Stage after directing Tracy Letts’ Mary Page Marlowe last summer. The New York Premiere of Bess Wohl’s play, MAKE BELIEVE, directed by Michael Greif, will conclude the season in summer 2019.